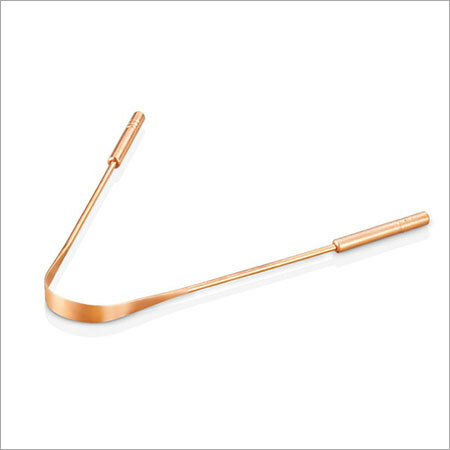 Our company has been offering superior quality collection of copper tongue cleaners of surgical grade. 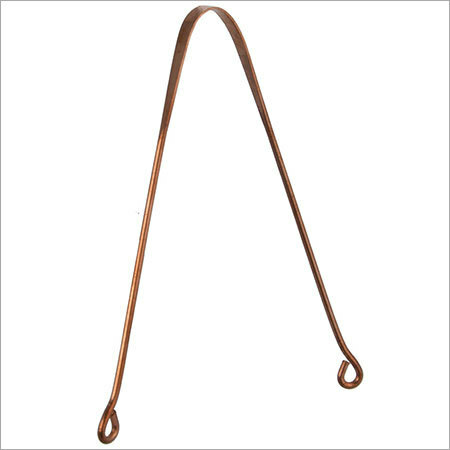 The collection is designed by experts using unmatched quality copper to ensure to provide the safe and hygienic array. The range clinically removes plaque, dead cells, fungi as well as bacteria from the surface of tongue making it ideal tool for tongue scraping and maintaining oral hygiene. 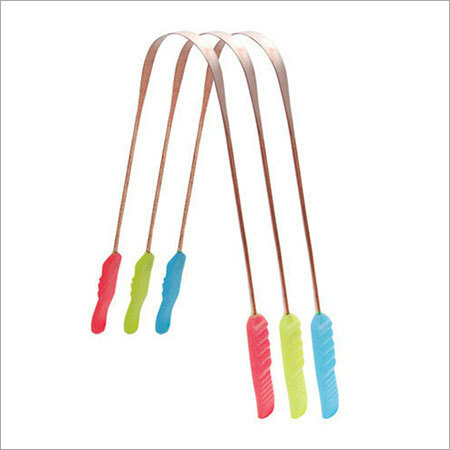 We have been offering highly efficient array designed to effectively restore the taste sensation of the tongue by cleaning its taste buds as well as prevent the bad breath. The collection is designed with contoured handles using no synthetic material for ensuring comfortable grip and easy handling. Moreover, the shape of the cleaner is non-gagging that slides gently over the tongue. Non-porous finishing and polishing of the collection prevents the growth of organic materials on the surface. With optimal length and size, the array reaches to all the tongue areas smoothly and effectively.